Little Boring uses a borer head to horizontally bore through most surfaces, including rock. 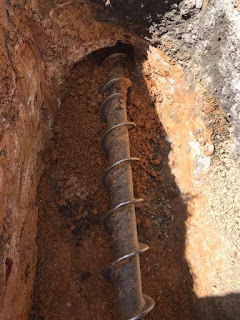 This method is cost effective and environmentally friendly.The process begins with setting up whereby existing services are located and then the entry and exit pits are dug. From there a line of site is established and then at the required depth the drilling commences.